While all of you have been scurrying around buying holiday presents, the elves over here in anti 9-to-5 land have been hard at work on a new feature for this site. Starting, well, now, this site will begin running profiles of the many fabulous cubicle expats who were nice enough to share their experiences and ideas for The Anti 9-to-5 Guide. Since my pal Traci Macnamara kindly offered to round up the first batch of anti 9-to-5 profiles, it only seems fitting that she should take the first turn. Besides, she just launched her travel blog Monday, so the timing couldn’t be more right. So without further adieu, meet Traci, globetrotter extraordinaire, who’s currently working in Antarctica, radioing scientists in remote field camps on a daily basis to make sure they’re alive and fully stocked with supplies. My story: A year after I graduated from college and began working in the real world, I knew that office life wasn’t for me. I am currently working for the third time as a contract employee in communications at McMurdo Station, Antarctica’s largest station for scientific research and exploration. The perks: The sun never sets during the summer, and the climate resembles a mild Colorado winter, so it is enjoyable here and stunningly beautiful — allowing things like skate skiing on the McMurdo Ice Shelf with a view of the impressive Royal Society Range in the distance. The downside: Sure, doing contract work in Antarctica is an amazing experience, but there are drawbacks to the contract-job life, too: geographic instability, financial insecurity, and spotty benefits, to name a few. For instance, I know that I will have work during the five-month contract, but when my contract ends, I have to find my own health insurance and make darned sure my money lasts. Dealing with health insurance: After a third season of contract work, I’ve learned to prepare for its challenges by saving money while working to pay for post-contract health insurance. It’s not as hard as most people believe, and sites like this make staying covered between contract jobs a cinch. Options include catastrophic coverage, premium coverage, overseas coverage, insurance cards sent by PDF, and so on. When I broke my ankle in France, I had insurance I’d purchased online and was able to submit receipts to the provider in both Euros and U.S. dollars. Plus, the customer service rocked. More on managing money: While on contract, I also try to focus on saving money that I will need for travel and short-term residence hunting. The idea is to enter a contract job with zero debt and then to save while you work (often easier said than done). Before starting contract work in a remote area, I would also suggest setting up all your bank and credit accounts online. Many creditors will allow you to set up online bill paying as well, which can help you stay on top of your finances whenever you have access to the Internet. And it is also a good idea to designate a trusted family member or friend as your power of attorney (I use my mom). That way, they can help you with financial transactions and other tasks you specify. See this site for state-specific details. The ultimate flex gig: Besides allowing me to live and work in Antarctica, contract work has given me the flexibility to do the other things that I love: reading, writing, and running around outdoors between jobs. In the past three years, I’ve lived eighteen months in Antarctica, nine in England, five in France, and the other months in various U.S. locations. Not too shabby. 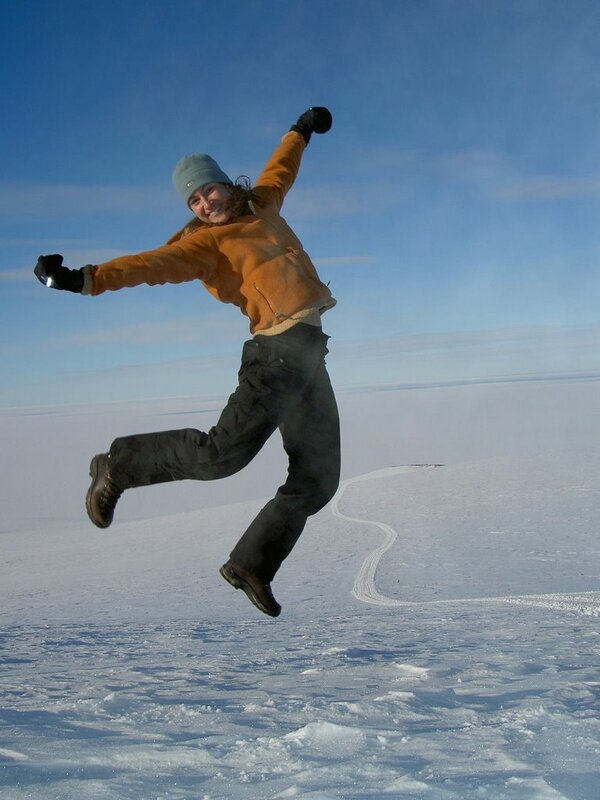 You, too, can work at McMurdo: Think you might like to give Antarctica a try? Denver-based Raytheon Polar Services Company hires contract workers — from dishwashers to equipment operators — for the U.S. Antarctic Program and has an annual job fair in April. If you go, try to make personal contact with those doing the hiring, and follow up with a phone call or e-mail. Who knows? I just might see you out here next year. What’s that link again? Down and Out, Traci’s Antarctica blog.